Don Foster has been trying cases to verdict in federal and state courts throughout the country for over thirty years. He also serves as outside general counsel and advisor to small businesses in a variety of industries. 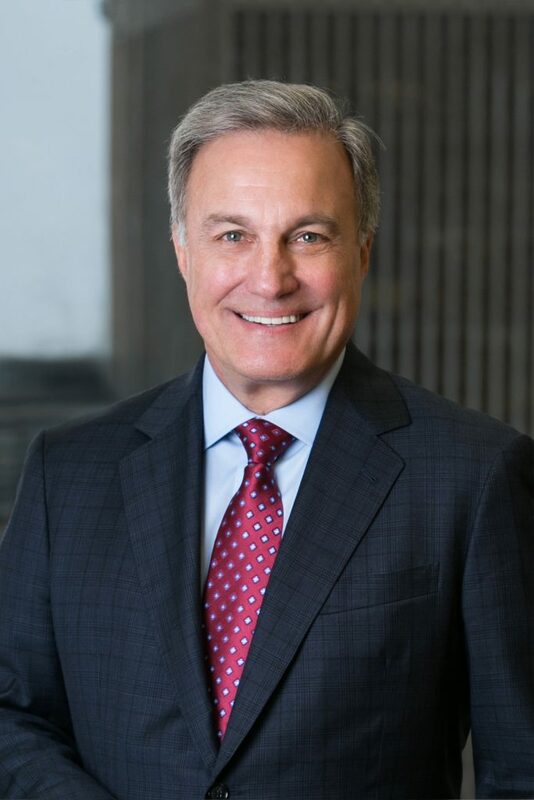 His trial and alternative dispute resolution experience is varied and includes disputes involving title insurance, intellectual property, health care, franchising, corporate governance, law firm dissolutions, attorney relocation and fiduciary litigation in Pennsylvania's Orphans Courts. Mr. Foster is a member of the Board of Directors of Highmark, Inc., one of the larger Blue Cross/Blue Shield companies in the country. He currently serves as Chairman of the company's Investment Committee after chairing the Audit Committee. He also serves on the Executive and Corporate Governance Committees. Prior to the formation of Highmark, he served on the Board of Pennsylvania Blue Shield. Mr. Foster serves as a Judge Pro Tempore in the Philadelphia Court of Common Pleas, and has been appointed to a two year term as a Delegate in the Pennsylvania Bar Association House of Delegates. Mr. Foster has also been voted a Pennsylvania Super Lawyer by a vote of his peers and in 2013 was recognized as a Top Lawyer in Health Care. For more than 30 years, Mr. Foster has received Martindale Hubbel’s highest “AV” rating. Prior to joining Offit Kurman Mr. Foster was a partner in another prominent Philadelphia law firm. Prior to that he served as a law clerk to the Hon. James S. Bowman (dec'd), President Judge of the Pennsylvania Commonwealth Court, and as a consultant with the International Energy Agency in Paris. "Attorney-Client Relationship and the Attorney Who Represents the Boss: Part Two", Legal Intelligencer, November 22, 2016. "Attorney-Client Relationship and the Attorney Who Represents the Boss-Part One", Legal Intelligencer, November 15, 2016. "A Creditor of an Estate Beneficiary Lacks Standing to Seek the Removal of and Estate Administrator", Offit Kurman Legal Blog, April 8, 2014. "Have You Been Sued By An ADA Tester? Here Is How To Fight Back", March 28, 2014. "Do's and Don'ts for Departing a Law Firm Part 3", The Legal Intelligencer Blog, February 23, 2012. "Do's and Don'ts for Departing a Law Firm Part 2", The Legal Intelligencer Blog, February 22, 2012. "Attorney-Client Relationship and the Attorney Who Represents the Boss"
"Managing the Risk of Consolidation of Health Care Providers and Insurers"
"A Creditor Of An Estate Beneficiary Lacks Standing to Seek The Removal of An Estate Administrator"